The backsplash brings out the personality of a kitchen. Choosing a backsplash for your kitchen is a great way to show off your style. Backsplash styles and materials range from sweet and simple, to elegant and elaborate to coordinate with your tastes. It can naturally tie a design together or become a stunning focal point. If you need help narrowing down some tile design ideas, or just with finding a place to start, keep reading for backsplash options for your kitchen. 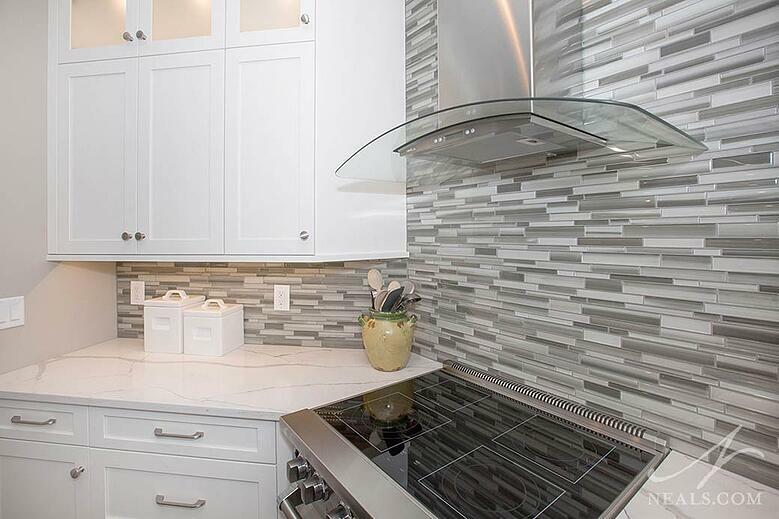 A contemporary glass tile mosaic backsplash helps create a modern feel in this transitional Montgomery kitchen. 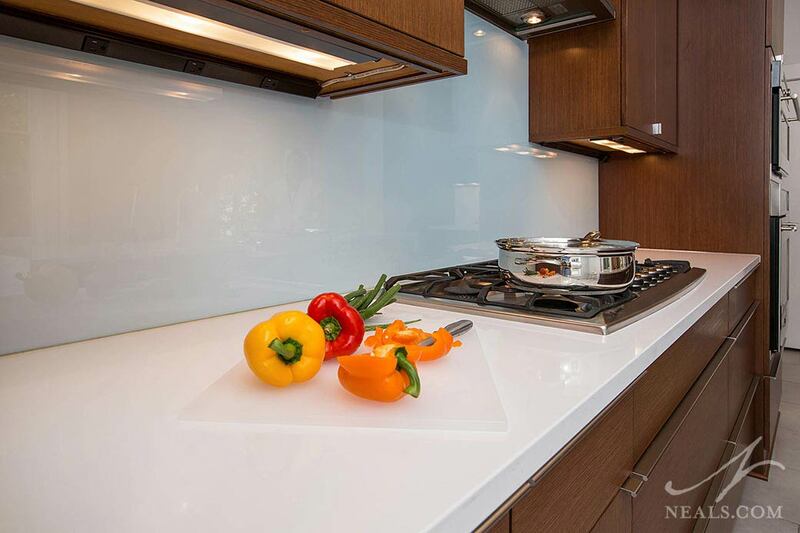 A back-painted piece of glass forms the backsplash in this contemporary Oakley kitchen. 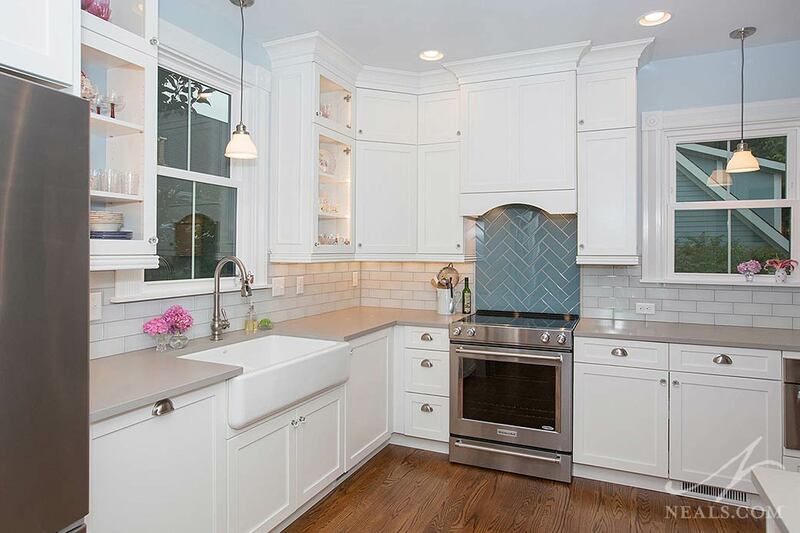 This traditional Milford kitchen uses subway tile for the backsplash along with a contrasting blue herringbone as a focal point at the range. If you're leaning toward something a bit more dramatic or unconventional, look at changing the typical direction of the material. If a square tile is arranged as a diamond instead, or a rectangular tile is situated as a vertical column rather than a horizontal band, the backsplash pattern turns into something unexpected. 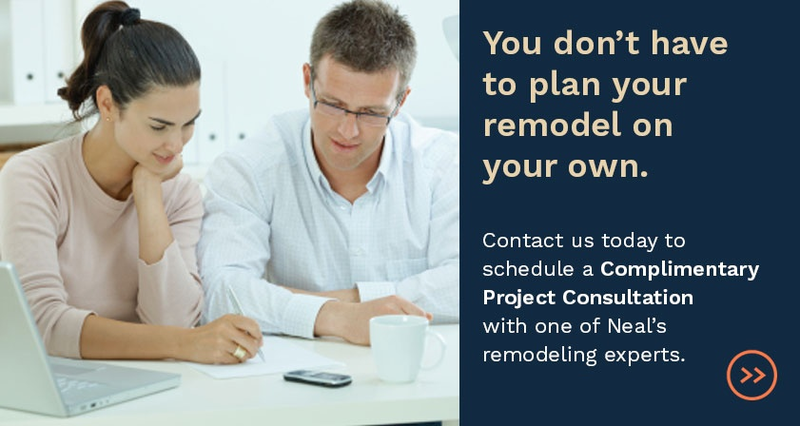 In some projects, we've even changed the direction of a tile around specific focal points to create visual interest without adding new colors or materials. 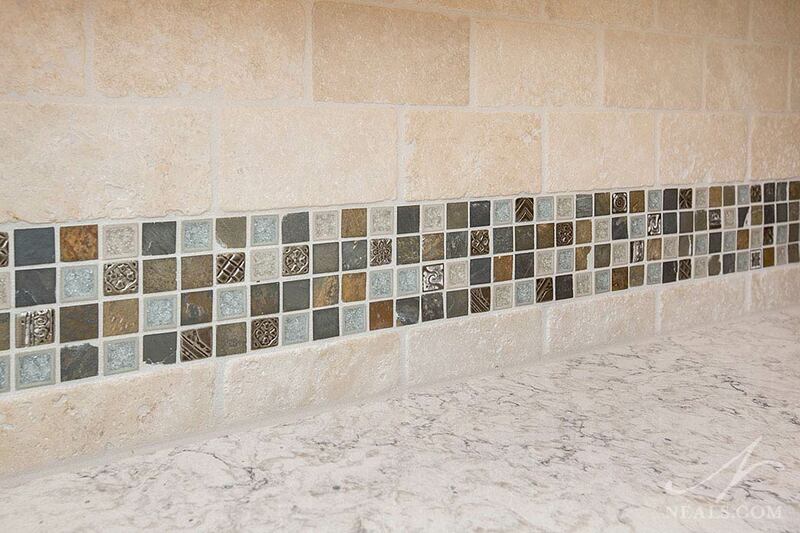 Natural stone field tiles are combined with a stone and metal mosaic mix in a traditional Morrow kitchen remodel. Mosaic Tiles, while small (usually no larger than two square inches), allows you to get creative with the design of your backsplash tile. Mixing colors, adding a custom mural design or creating a unique pattern are all ways to use this tile in your kitchen or extend the tile used into your bathroom. 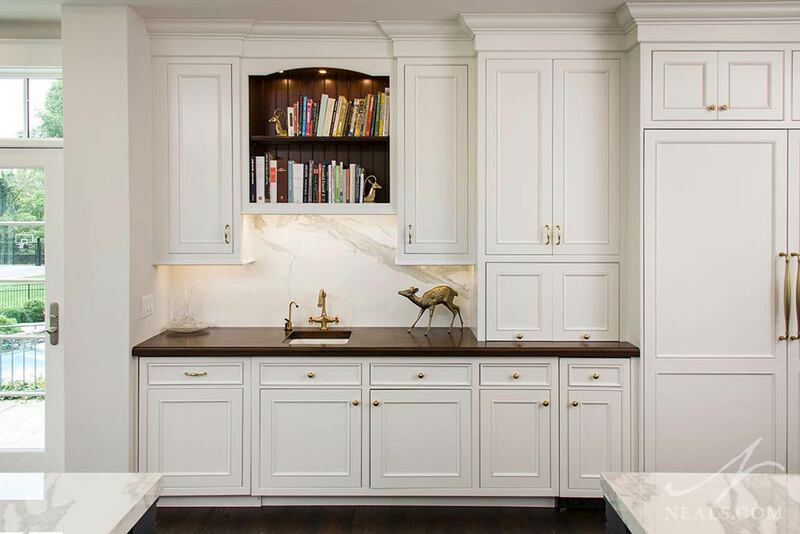 The backsplash in this Indian Hill kitchen is a slab of porcelain, which mimics the look of marble. 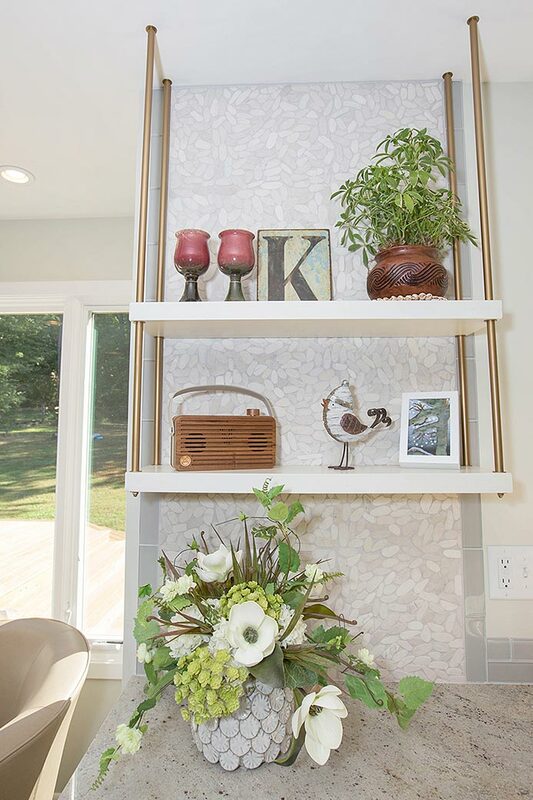 Pebble style mosaic tile was used in this chic Blue Ash kitchen to create interest behind the open shelving. Don’t be afraid to mix two different materials together to create your perfect backsplash. Tiles and natural materials combined display different patterns, and because there are so many options for size, color and texture, there's bound to be a combination that fits with your style. Think about how to use color as well. Use brightly colored glass tiles, or choose a pastel color for your subway tiles. This break from neutral tones liberates the space and lets it be a vibrant and thriving place for everyone.